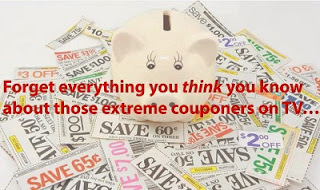 Learn Some Awesome Ways To Cut Down Your Grocery Budget Up To 95% By Couponing. They had three kids... he lost his job... she lost her job... they lost their house and had to move in with relatives. Then something changed... when they found the secret to saving up to 95% on their groceries! NOTE: This is not a free book, the cost is $27 for the extreme couponing information she is offering. However, there is no obligation to buy. -- Sign up for Pepsi Experience Points. Earn rewards and get recognized for all you do with Pepsi.